Prankster Tricks Breitbart Editor-In-Chief Into Revealing Plot To Oust Ivanka And Jared "By The End Of The Year" - Joe.My.God. 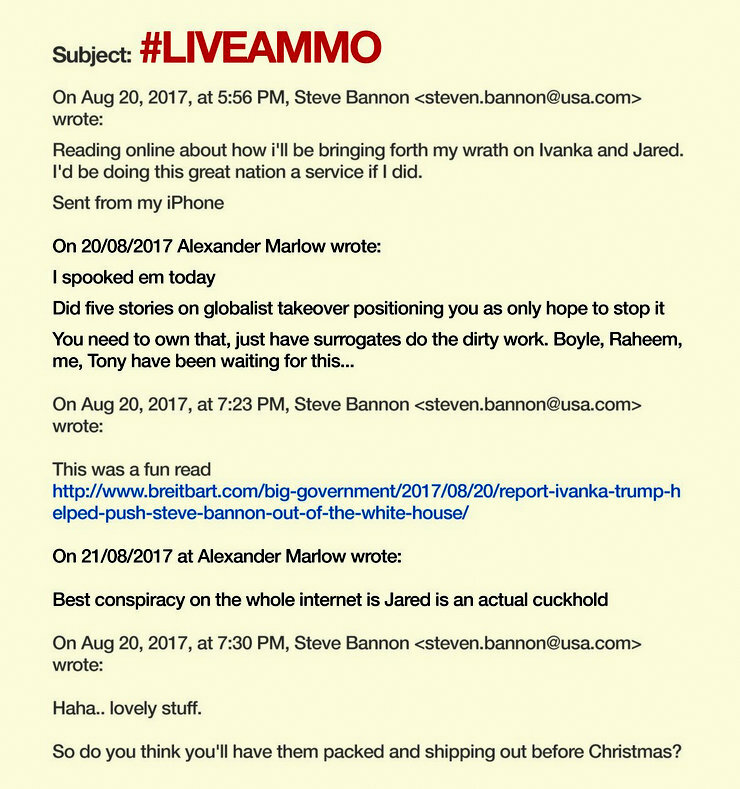 A self-described “email prankster” seemingly fooled top editors at Breitbart over the weekend into believing he was Steve Bannon, the fired White House chief strategist who returned to the right-wing website as executive chairman on Friday. 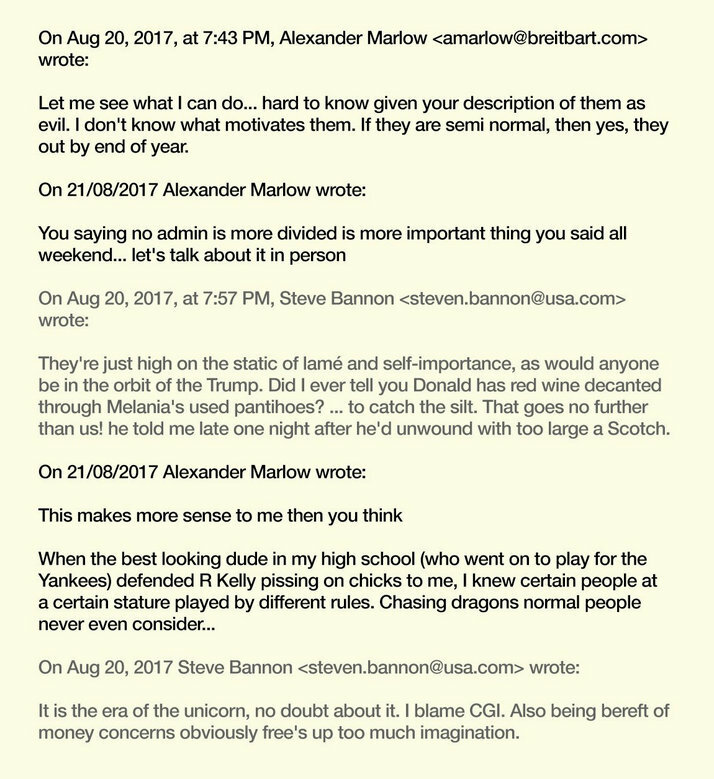 In the emails, Breitbart Editor-in-Chief Alex Marlow pledged that he and several other top editors would do Bannon’s “dirty work” against White House aides. The emails were shared with CNN by the prankster. In other emails, Marlow suggested he could have Jared Kushner and Ivanka Trump ousted from the White House “by end of year” and shared a personal smear about their private lives, perhaps an indication of how low the website is willing to go to achieve its agenda. 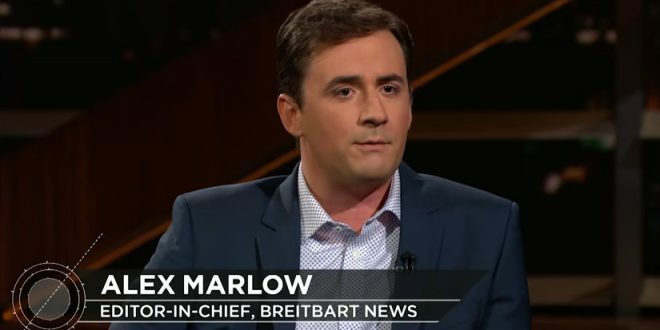 Marlow bragged to not-Steve Bannon that just yesterday he had blasted Ivanka and Jared as “globalists” in five separate stories. Hit the link for much more.